With so many apps flooding the market for every device, it is becoming increasingly difficult to find which make the cut. That is why we have browsed through the app store to find the most awesome app for DIY fanatics, hobbyists and crafts-junkies. These apps will help you do everything from remodeling your kitchen sink to finding easy-to-make crafts to beautify your home. 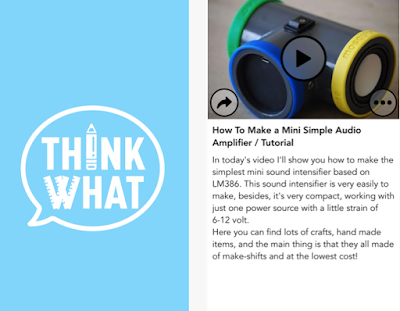 Here our search ended up with an app, ThinkWhat – DIY, Ideas, Life hacks. · Life hack tutorials and tips. · Make simple stuff that will help you manage different life things in an easy way. ThinkWhat – DIY, Ideas, Life hacks app make a difference in your life so what are you waiting for? Grab it today free for your iOS from the link given at the end of this review.